Improving the look of your body starts with losing weight but that is not the be all and end all. There is a bit more that is required to getting the look that you are aiming for. What is a Toned Body? Generally speaking, a toned body refers to a body that is lean with sculpted muscles. Of course, this definition can vary depending on who you talk to. Most would agree though that this describes a toned body for the most part. In addition to weight loss, to achieve a toned body requires exercise. Working those muscles is what will get you closer to the body you want. Keep in mind though that genetics and body type also play a role. For now, though, let’s focus on what you can do. Unfortunately, you can’t control your gene pool. People often wonder if yoga is up to the task when it comes to toning the muscles and providing a strong workout. 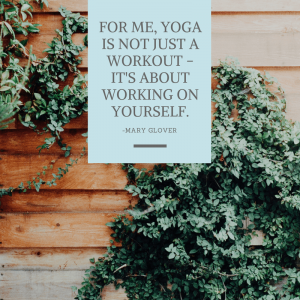 The answer, in a nutshell, is yes, yoga will deliver in terms of giving you the body you want as long as you practice consistently. The first thing to know is that yoga works all of the muscles in the body. For toning, purposes choose yoga poses that require you to support your body weight. You will build muscle and tone up. Ashtanga and Vinyasa are known to be particularly good types of yoga to practice due to their intensive style. At the same time, they also provide body strengthening. The extended triangle pose is probably one you have seen before. It works the knees, thighs, and ankles by building strength in these areas. Additionally, because it stimulates the abdomen muscles, it is also useful for eliminating belly fat or visceral fat. The dolphin plank pose is similar to a push-up position with the forearms bent at the floor. Doing this pose requires you to support your weight and is particularly good for strengthening the arms, legs, and core. The warrior 3 pose is not unlike the letter ‘T’. Standing on one leg with the other leg and arms extended, this pose can be challenging, especially for a beginner. Still, you can’t beat it for improving balance and posture as well as strengthening the shoulders, legs, arms and back muscles. It’s also fabulous for toning the abdomen. The three poses mentioned above are great for toning but they are definitely not the only ones. Take time to explore other poses a well. Since everyone is different, you may find poses that work better for toning your body. Lastly, it’s always important to speak with your doctor before starting any type of fitness program. Depending on your physical condition, certain poses may not be suitable for you.